Hard to believe that the El Cortez is 70 years old but the venerable hotel/casino is still going strong and celebrating all year long. Opened by J.Kell Houssels in 1941, it was considered to be too far down Fremont Street. But from the beginning it was successful. Ben Siegel came to town to muscle in on the race wire at the hotel and with Meyer Lansky, Gus Greenbaum and Moe Sedway bought the casino from Houssels in the mid-1940s for $600,000. 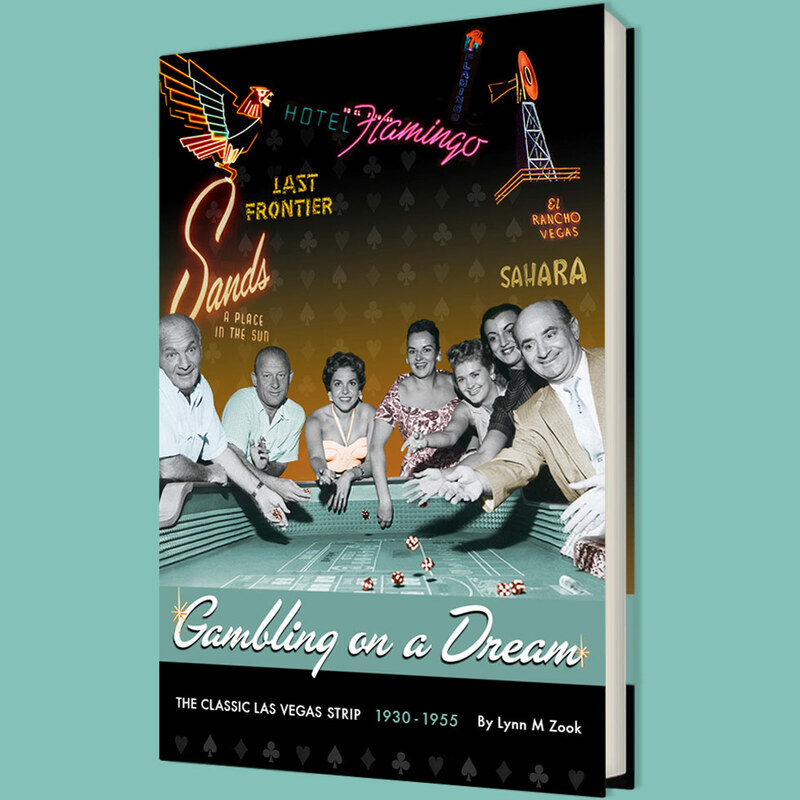 They didn't hang on to it for long as Siegel was already working on his dream project on the Las Vegas Strip, the Flamingo. They sold it back to Houssels in 1946 for $766,000. Houssels bought in famed Los Angeles architect, Wayne McAllister, to do a remodel on the hotel. In 1963, young Jackie Gaughan, who had come to Las Vegas in 1943 when he was stationed at the old Air Base (that would become Nellis). He moved his wife Roberta and two sons, Michael and Jackie, jr to Las Vegas in 1951. He bought a small 3% of the Boulder Club and 3% of the Flamingo with partner Eddie Barrick. Jackie had a knack for sports books and handicapping. 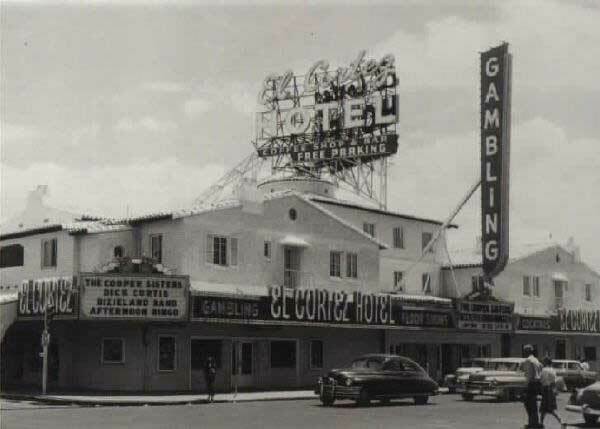 In 1961, he and partner Mel Exber bought the Las Vegas Club and in 1963, they bought the El Cortez. Gaughan hired Wayne McAllister to oversee the design and construction of a new room tower. Fremont Street back then was the center of town. The telephone company and Sears were located across the street, JC Penny's was nearby as was Woolworth's and Skaggs. People came downtown not only to gamble but to shop. 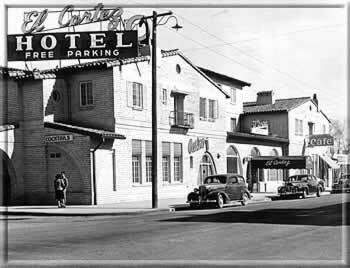 From the beginning the El Cortez was a hit with not only the tourists but locals as well. Jackie had his ties in downtown real estate from the beginning. With Kell Houssels, Sam Boyd and others, they opened the Union Plaza. Throughout the 1970s and 1980s while the neighborhood around the El Cortez changed and the local businesses that catered to local shopping moved out to the suburbs, the El Cortez never waivered. Jackie sold the El Cortez to family members a few years ago but he still lives in the hotel and can still be seen walking through the casino. The last few years, the hotel has undergone renovation and upgrades from a new air ventilation/filteration system to the Cabana Suites with its great mid-century modern flair, across the street. As part of the 70 year celebration, the Flame Restaurant is offering Oysters Rockefeller and Hearts of Palms every Tuesday through Thursday for the rest of the year. So go downtown and help the El Cortez celebrate 70 years of history and enjoy a taste of classic Las Vegas.